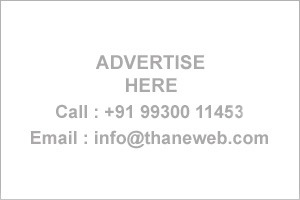 Thane Business Directory - Find list of Doctor Gynecologists & Obstetricians in Thane, Mumbai. Get address, Phone numbers etc of Doctor Gynecologists & Obstetricians. Ram Maruti Netra Hospital, Opp. New English School, Ram Maruti Road, Thane. Life Care Hosp. & Poly Clinic, Vedant Comp. Vartak Nagar,Thane. Janam Hospital, Maruti Angre Marg, Charai, Thane (W) -400601. "Sai Krupa Maternity & Surgical Nursing Home, 1st Floor,Konark Tower, Opp. Sai Baba Mandir, Naupada, Thane 2"
Harsiddha Park Soc., A1-Bldg., Pawar Nagar, Thane (W). Trupti Hospital, Cosmos Paradise Devdaya Nagar Thane W.
Prathmesh Nursing Home,101/201, Samarth Arcade,Opp.Holy Cross School,K Villa,Thane W.
DR. . IYER (PATANKAR) SWARUPA R.
DR. . KANBUR AJIT S.
Hope Fertility Clinic IVF & ICS Centre,Charai Naka Thane W.
The Origin International Fertility Centre, Opp. Hiranandani Meadows, Galdy Alvaris Marg Thane. "Medicare Hospital, ESIS Hospital Road, Wagle Estate,Thane." DR. . MUNJE KAVITA S.